Creating a .pdf file from HTML can be difficult and time consuming. There aren’t many reliable resources that can teach you how. However, your struggles are over now that programmers at Optimum7 have recently created a web service called the PDFCreator. The PDFCreator is a SOAP PHP Web Service that allows you to create a .pdf from HTML or a URL, which means automatic and recurring updates in .pdf format if and when you need them. The PDFCreator Web Service has two web methods – HTML and URL. With your email address and an API key provided by Optimum7, you can turn any HTML code into a .pdf. Simply define the HTML and our service will parse the code into a .pdf for you. We offer snippets for PHP and (.Net) users. You can use our web service even if you do not write or have access to the script. Instead, you can fill out the various parameters on the web page and the PDFCreator will send your .pdf where it needs to go. You can even select the dimensions of the .pdf, such as “letter” or “legal,” automate .pdf generation, and set recurring updates. Using your email address and the API key provided by Optimum7, this service works in much the same way as the FromHTML service. However, rather than using code, you can simply copy and paste a URL into the designated field and turn any webpage into a .pdf. You can even identify a specific element of a URL that you wish to share and by specifying the div, send only that specific element in .pdf format. We also provide PHP and (.Net) snippets that you can use in your script! Say, for example, your client sells their service online. When their customers sign the online agreement, your client wants to automatically send the customer a copy of the contract they filled out. The PDFCreator will automatically generate a .pdf that includes all of the necessary information so your client doesn’t have to do it manually and you don’t have to figure out how to turn all that HTML into a .pdf. While you need a different snippet to pull information from Google Analytics, you could also use the PDFCreator in tandem with that snippet to generate a monthly report that updates your clients on their progress in an easy-to-read .pdf format. You could also use the PDFCreator in a WordPress plug-in that creates a button which allows a reader to send an article to someone in .pdf format. No matter what your requirements or purpose, Optimum7’s SOAP PHP Web Service allows you to take a URL or HTML of any length and turn it into a .pdf. 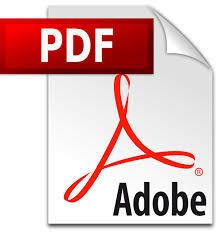 Try the PDFCreator for Your Self! If you would like to see how our PDFCreator works, visit http://opt7dev.com/web-services/service/pdfCreator/. For more information on the PDFCreator, to get an API key, or to learn more about the other web services we offer, call Optimum7 at (305) 477-8960. If we don’t have a web service that solves your problem, we can create one that will – call today!